From the beginning, Boyal Industrial Pte ltd. has believed in creating strong partnerships with our customers. This commitment to our customers is demonstrated by making available local application engineers, knowledgeable direct sales, and partnering with world class distributors and local representatives who know our products and its quality inside out. ONE ROW CYLINDRICAL ROLLER BEARINGS STANDARD SERIES has many designs, dimension series and sizes. The majority is single row bearings with a cage. Single and double row full complement bearings (without cage) complete the Boyal Industrial Pte ltd. standard assortment for general engineering. Bearings with a cage can accommodate heavy radial loads and operate at high speeds. Full complement cylindrical roller bearings are suitable for very heavy radial loads at moderate speeds. Bearing 250RU91 is key components. Their geometry, the so-called logarithmic profile, provides an optimum stress distribution in the contact zones in the bearing. Their surface finish maximizes lubricant film formation and optimizes rolling motion of the rollers. The benefits derived from this compared with traditional designs include enhanced operational reliability and a greater insensitivity to misalignment. 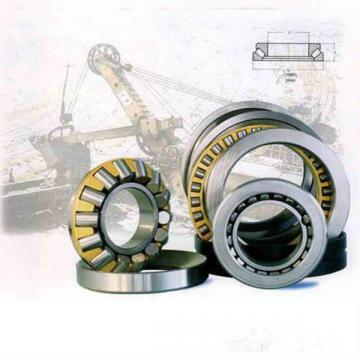 The range of Boyal Industrial Pte ltd. cylindrical roller bearings comprises the basic types. Boyal Industrial Pte ltd. single row cylindrical roller bearings, caged, mainly of the NU, NJ, NUP and N designs. Boyal Industrial Pte ltd. double row cylindrical roller bearings, caged, mainly of the NNUand NN designs. Boyal Industrial Pte ltd. single row full complement cylindrical roller bearings, mainly of the NCF and NJG designs. Boyal Industrial Pte ltd. double row full complement cylindrical roller bearings, mainly of the NNF design.